Aside from being literally dangerous — what if something falls on your head? 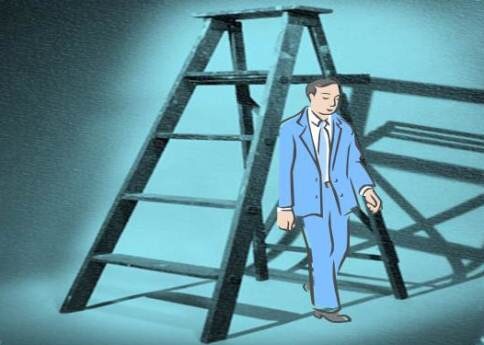 — walking under a ladder is considered bad luck for largely symbolic reasons. Early Christians believed that the number three was sacred for its connection to the Holy Trinity, and by extension, so was the triangle. When a ladder leans up against a wall, it forms that very shape, and walking underneath it “breaks” the Trinity. Not only was this blasphemous, but it might also attract the Devil himself. Other historians have pointed out that a leaning ladder resembles the gallows, which use ladders so the person being hung can climb high enough to reach the noose. Either way, ladders have some not-so-great connotations.